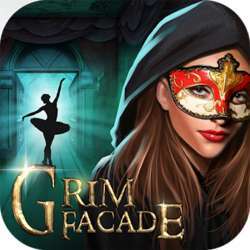 Ответы на вопросы » Игры » Игры на андроид » Adventure Escape: Grim Facade full walkthrough. Full walkthrough the game Adventure Escape: Grim Facade you can see here. 25-year-old famous ballet goddess Kylie bizarre death. Who murdered her? A stingy junkie? Alcohol as life bar owner? The Baron? Or others? All doubts detective need to be solved one by one . Open thrilling exploration of the trip. A thrilling escape challenge. All of the puzzle layers progressive. More fun small game waiting for you to challenge! We also do a very humanized customs Cheats. The key moment will give you a small tip. Allowing you to smooth customs clearance. Love puzzle games, small partners must not miss such a classic puzzle masterpiece!